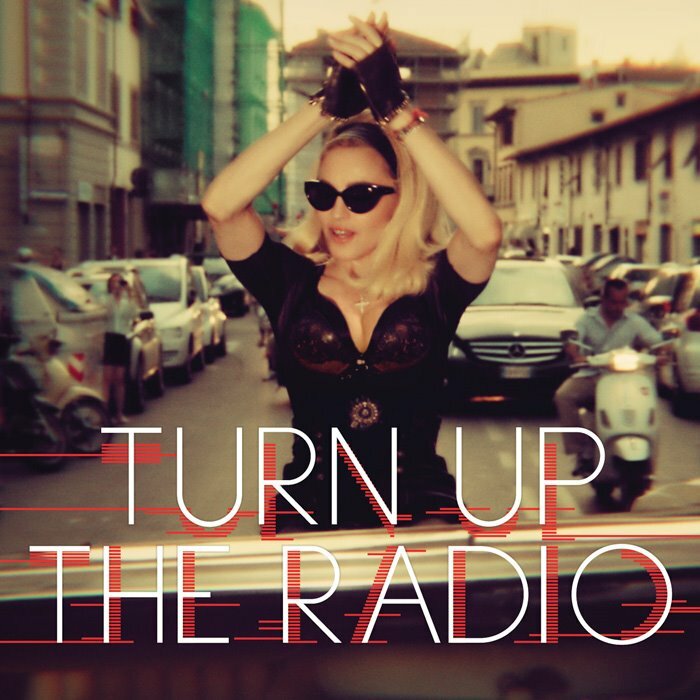 Pop queen Madonna has revealed the official cover image for her new single ‘Turn Up The Radio’ (pictured). The track is the third to be lifted from her recent No.1 album ‘M.D.N.A.’ and comes off the back of both ‘Give Me All Your Luvin’ and ‘Girl Gone Wild’. It also comes as Australia waits patiently for the official announcement of her impending Australian visit – her first tour down under in two decades. Rumours are swirling that the announcement by Live Nation has for some reason been delayed until after the London Olympics. We’ve heard that Madonna will be on the ground in Australia for stadium shows in mid-January. 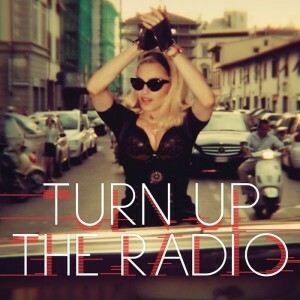 In the meantime, the ‘Turn Up The Radio’ video is due to premiere on Monday US time. MDNA rocks okay! The album is HOTTT and Madonna will always be a legend in “Music”! When’s she gonna realise no one cares about her new music anymore.